This post contains affiliate links for products mentioned within the post. In general, there are about 3 different styles of baskets you will find when sourcing baskets. Each of them offers different features and challenges when hanging them. 1) The open weave. When thinking about open weave baskets, think baskets that beads would fall out of. The material that makes up the basket is woven in a way that leaves open space between the woven design. These baskets are really easy to hang because you simply catch the nail or hook on an opening. Think wire baskets, tobacco baskets. 2) The tight weave. Like the open weave, you can use the same idea to picture it. The material is tightly woven so that something like a small bead wouldn't fall through it. Think rope bowls, African baskets, ciosan baskets. 3) The lip. Baskets under "the lip" category can be an open or tight weave. The thing that is different about baskets in "the lip" category is that they have a ring on the bottom of the basket to help it stand straight. This lip makes hanging easy as well because you can use it similar as a picture hanger and just rest it onto the hook or nail. I think I can say with confidence that you can buy a basket anywhere nowadays. I think your options are only as limited as your time and budget. If you have the money but not the time, you can use a source like Etsy to quickly find the perfect piece or even hire someone to find the basket or baskets of your dreams. If you have time and money, it's a really good idea to support fair trade made baskets for new and small shops for vintage. 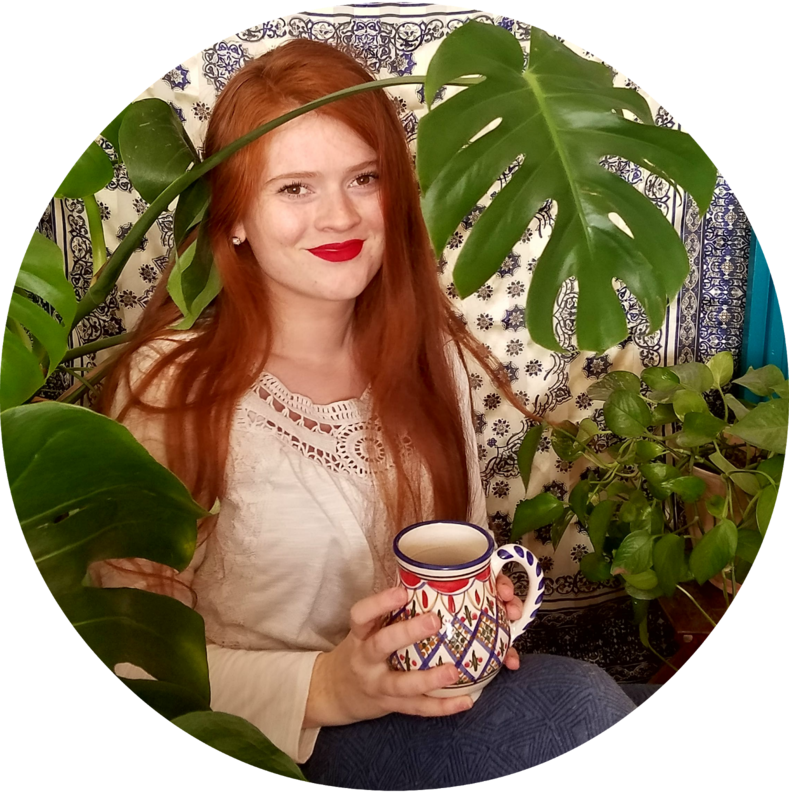 Here is my Where To Shop For Fair Trade Home Decor guide. 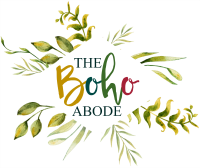 If like me, you don't have much to spend on decor in your home then you can spend more time sourcing second-hand shops and thrift stores for the perfect pieces. It took me two years to find all of the baskets in the basket wall collage I created. The more colorful ones were unexpected treasures but there's still a lot of variety and interest in the different styles and stains of the other baskets. Don't be discouraged by worn baskets either, my friend Jackie shared how she gave a faded basket new life with paint! The first time I hung a basketwall (and the second, third and fourth times, too) I used a combination of drywall and common nails. Whatever I had on hand, honestly, is what I grabbed because I couldn't and can't be bothered with the differences. I just held up a basket where I thought I wanted it, hammered in a nail, hung it back up, and if I needed to move it, I guessed where to put the next hole. Honestly, that's a fine way of doing it. It works. It's effective. 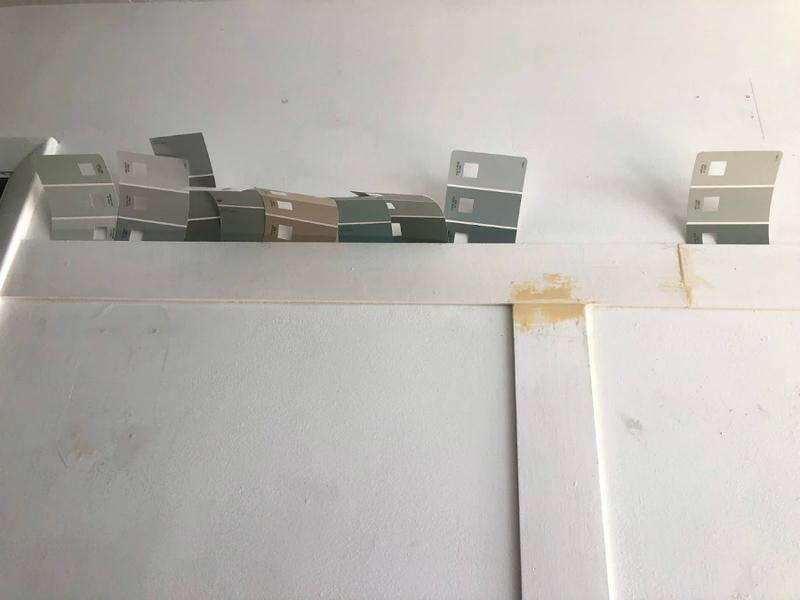 But after spending hours upon hours of filling and sanding over holes when I needed to paint the walls, I needed a better way. After some trial and error, I've found a system for hanging all types of baskets without damaging the baskets or the wall. The supplies are easy to find and easy to use. Not only do these materials keep your wall safe from holes, but they protect your baskets from damage as well. Command Hooks, I actually used these holiday clip ones because I found them on clearance after the holidays. The clear mini hooks are similar but you get a way better deal for the holiday clips. Keep in mind the holiday clips aren't technically marketed to hold weight. While they're working fabulously for me, it also could totally not work. If you're hanging heavier and/or bigger baskets, consider using the clear medium or clear large hooks instead. Picture Hanging Wire, I use some wire I had leftover from a picture hanging hardware kit I picked up from the dollar store. Floral wire would work perfectly for this as well. You just need a skinny wire that you can wrap around the basket material to make a hoop to catch onto the command hook. The baskets you'll be working with are likely different in number, size, and style than mine. So while I could tell you exactly how to plan my exact basketwall, I think it's more helpful for me to give you general guidelines to planning how to hang your own. I find it easiest to work on a clear floor so I can slide the baskets around and play with how close I want the baskets. Once I think I've got it right, I'll whip out my camera and take a picture of it. This way I can hold it up over the wall space I want to hang it on and can get an even better idea of what it will look like once it's installed. Keep your largest baskets towards the center. It helps to start your layout by finding your biggest basket and putting it somewhere near the center. From there you can start working the baskets from largest to smallest circling around the larger basket. Balance sizes and colors. If you have some especially uniquely shaped or colored baskets, try to balance them left to right and top to bottom. If you have two really colorful baskets, try putting one towards the top left and the other to the bottom right to visually balance the whole display. Keep the largest and darkest piece closest to the bottom. While you want to balance the sizes and colors, it's more aesthetically pleasing to keep the deepest and heaviest towards the bottom. For example, if you have two dark brown baskets, put the larger one around the bottom left and the smaller one to the top right. Work the visual interest from left to right. With any art, you want to have an immediate place for the eye to go, and then a trail for it to follow from that point. Left to right is the natural flow for the eye to go so trail the baskets, colors, and sizes in a way that flows from left to right. You may prefer your basket wall to have a different vibe than the one I've created and that's totally okay. You can space your baskets out more if you don't like them as close. You may prefer to work with all colorful baskets and I love that, it's just not what I was able to find. You might like to create a more whimsical design or incorporate pieces that are not baskets. I think there are so many creative ways to create a wall display with baskets. Now that you're equipped with everything you need to know about basket walls from types, install, and arrangement, here are some basketwall displays to inspire you to create your own. This is my own basket wall that includes a variety of neutral baskets with a few pops of color sprinkled throughout. I split my baskets into two piles of similar baskets so that I could balance them on either side of the larger woven charger near the center. It's centered above the sofa for an interesting way to fill the wall. Lee chose to mix baskets with wooden decor and other trinkets to create this captivating display around her china cabinet. The eye naturally comes to the colorful art in the center and follows the trail of wooden leaves around the right side. This is a good way to visually fill a space when a piece of furniture seems too small. Wendy's basket wall compliments the colors and materials used within the space itself. It's really interesting because of the mix of shapes but still neutral so as not to overwhelm the space. It's an easy way to add a lot of "something" to your space. Jude adds a lot of warmth and depth to her living room by hanging a large collection of baskets with a lot of red tones. It balances the coolness of the light grey sofa and pops against the beautiful green from the plants. You can really make your space pop by choosing contrasting colored baskets to the main pieces in the space. I really love how Sally uses baskets to fill in the wall space beside the window. It ties in the warmth of the wood of the bookcase on the other side. The basket arrangement is something to note too as it draws the eye immediately up and then slowly comes down. How perfect do these baskets match the bottles? This is a great example of how to work small pops of color into a basket wall. It also shows how well mirrors can be worked into the arrangement. For a neutral display, Liesbeth arranged this simple basketwall that floats slowly from bottom left to top right. A basketwall like this would work in homes and spaces with a wide variety of different styles. Lauren created a really beautiful yet simple basketwall above the bed with just 7 amazing baskets in similar designs and reflect the colors she uses throughout her home. They're rather large baskets which fill the wall space in a refined way. For a truly mesmerizing display, you can arrange your baskets to climb up over a doorway like Amy did in her home. She uses a mix of lighter, neutral baskets which looks especially pretty against her soft pink walls. Risi created a high contrast wall treatment with a bright fuschia wall paint and baskets in designs that pop. The baskets climb up which follows the climb of the stairs. Basketwalls look great against bright colors. Mel hung a massive basket wall collection in the tall wall space the staircase runs. It's an impressive way of drawing the eye up and adding a lot of texture in an area that can oftentimes feel empty. 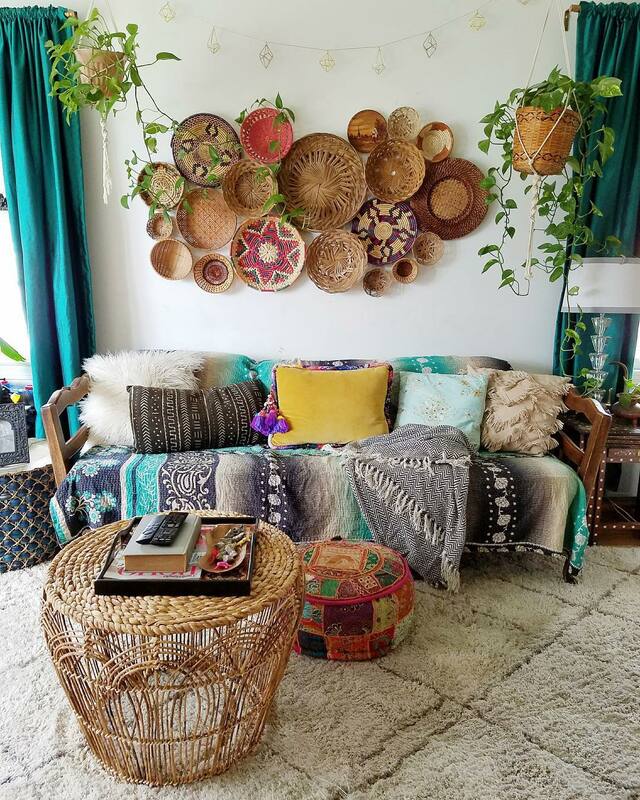 For a really colorful way to fill wall space, go with the most colorful baskets like Faith did here in her living room. It adds the same impact colorful wallpaper would add but with the dimension wallpaper lacks. Melanie breaks up space above her television with spread out woven baskets and decor. The pieces really pop against the bright blue of her walls! 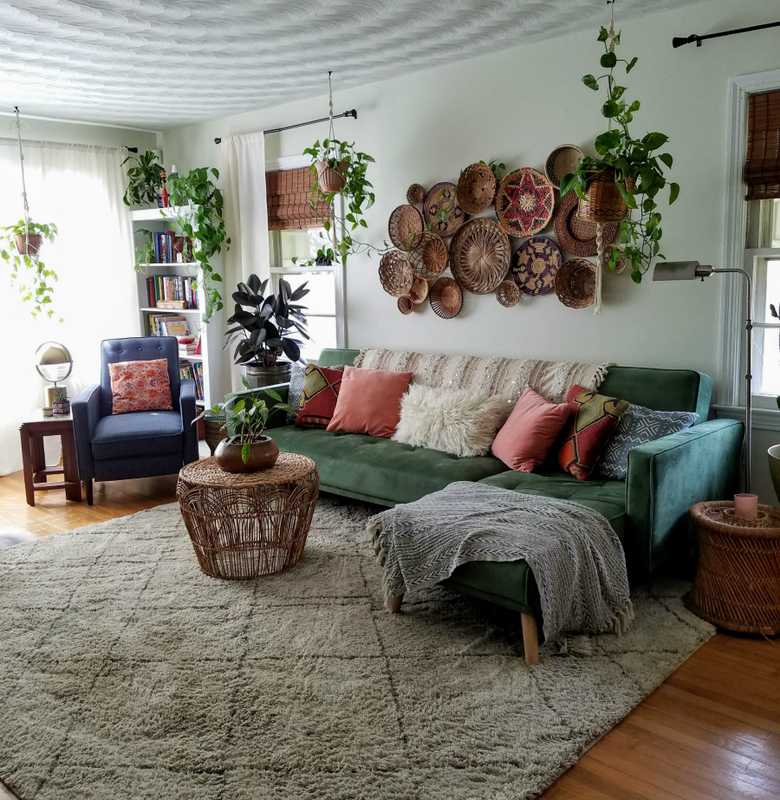 For a really unique way to add color and dimension to a wall without the commitment of wallpaper or paint, hang a pretty tapestry like Elizabeth did and then arrange baskets over the top of it. Lilly adds a pop of color to her dining room with large baskets arranged above a credenza. If you've got colorful elements in nearby areas of the wall you want baskets on, you can use baskets with those colors to tie everything together. Got art but it's not making the impact you need it to make? Katie shared this really beautiful way of framing the art on opposite corners with basket collages. The art is monochromatic and a bit cold but the baskets add warmth and texture and a lot of visual impact. Kim brought baskets to an outdoor space for an easy outdoor friendly art idea. The baskets won't warp as easy from moisture in the air the same way paper would and with colorful baskets like this, it adds a fun element to her space. Miranda shows how you can use a large basket collection to not only fill a large area of wall space but to also draw the eye up over a doorway too. Doorways can be hard to decorate with and around and this is a creative way of making it work. Sally hung baskets above her sofa in colors that coordinate with the other pops of pink in the space. It helps the pink pop more in the space and helps draw the eye around more of the space. If you have a dominate pop of color in your space, this is a creative way of continuing the color through the space. I hope you feel armed and ready to create the perfect basketwall arrangement in your abode. 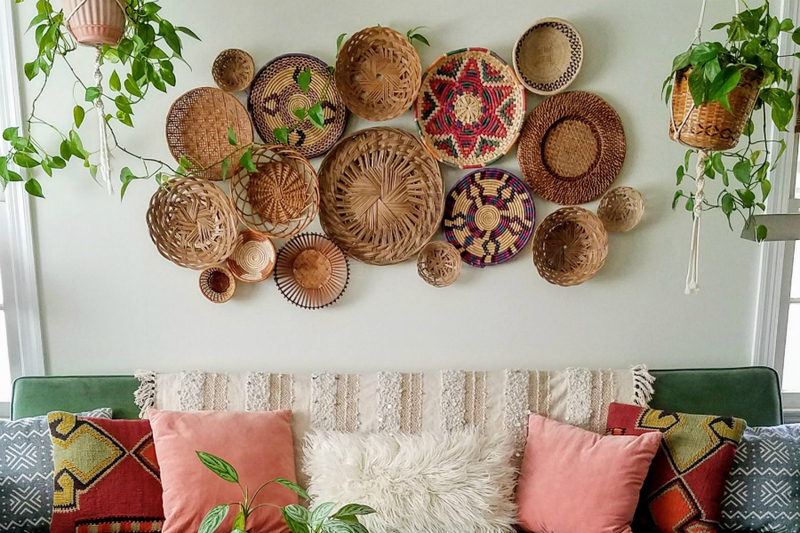 Whether you go colorful or neutral, bold or simple, big or small, a basket wall will add a dimensional and textural element to your space that you're likely to find is a beautiful and timeless way to decorate your wall. Be sure to tag me in your basketwall photos on Instagram and leave me a comment below sharing your favorite basket tips and styles. رش القرفة على أماكن تجمع النمل الأبيض في المنزل، ويمكن رش الخل أيضاً، حيث إنه يطرد النمل من المنزل، ويمنع عودته مجدداً. These woven baskets enhance the look of room. Woven basket gives the antique look and that you can buy african woven baskets from Africa Blooms which is the leading store of antique products.